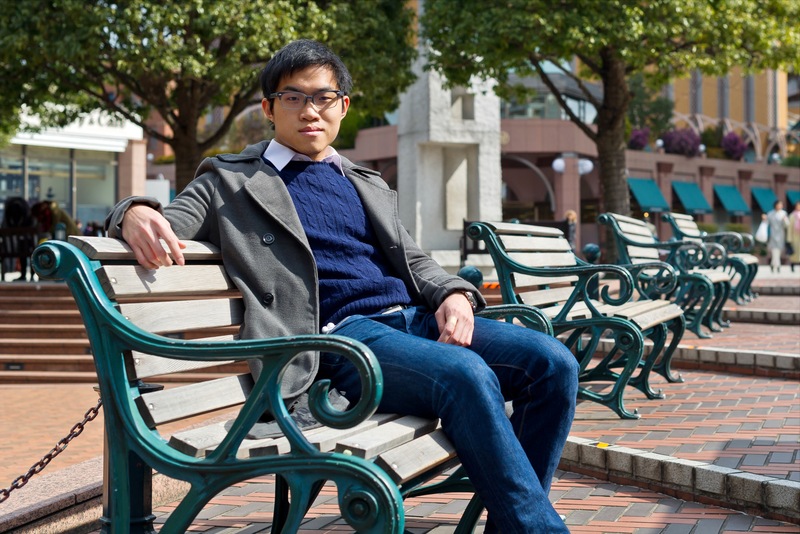 “ I have spent five years here, one in Osaka and four in Tokyo for my undergraduate degree. I realize that the typical university experience in Japan wasn’t for me. Maybe it’s because I was a bit older than my Japanese university peers–around three years older than the typical student. I felt like I shouldn’t just mess around, even though I could have spent most of it just drinking sake. As a foreigner I felt that Japanese school is just one part of Japanese society, and if you keep yourself in just the four walls of school you don’t get to experience other valuable parts. So that is why I wanted to get out and do other things as well, like internships and other non-school related activities. “When you leave Singapore, you understand how it is different than the rest of the world. Singaporeans cannot live without meeting a foreigner. That has only recently been realized in Tokyo. Living abroad has made me see how special in a sense my home is. Singapore is around one-third foreign born, so you always have people from different parts of the world working with you, studying with you, and living with you. It is easy to kind of take it for granted. It’s not like Singapore is perfect, we have our integration problems as well, but I guess for us the very fact that foreigners are seen as normal is something that is quite different than we have in Japan.